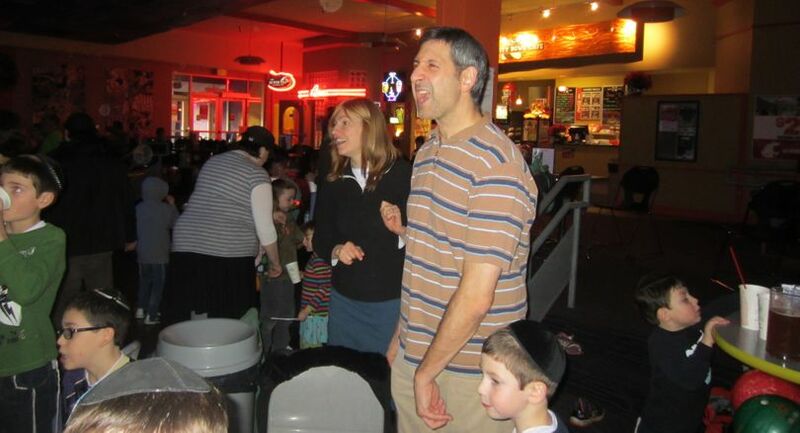 On December 25, Congregation Shevet Achim Youth Program Director Jodi Negrin organized a family day at Kirkland’s Tech City Bowl. About ten families participated, bringing kids of all ages. A good time was had by all. This event was part of an increasing number of family activities offered by Mercer Island’s growing congregation. Shevet Achim’s more than 90 families have nearly 100 children. Jodi Negrin runs a youth service during many Shabbat and holiday services. A toddlers’ program is also offered. With Shevet Achim’s new building opening in January, the congregation’s families look forward to larger, convivial spaces for classes, youth services and just plain fun.